Sewer Drain Line Boring - Directional Boring, Inc.
What Is Sanitary Sewer Line Directional Boring? Directional boring is a trenchless method of installing both gravity and forced main sewer lines underground along a predetermined bore path. The directional drilling system allows for the placement of sanitary sewer line with minimal disturbance or disruption along the ground surface. With sewer line directional boring, obstacles like sidewalks, driveways, parking lots, roads and landscaping are easily bypassed reducing the direct and indirect costs of trenching sanitary sewer lines. A wastewater treatment plant is a public works facility where wastewater which is water no longer needed or suitable for its most recent use is converted into an effluent that can be either returned to the water cycle with minimal environmental issues or reused. These plants receive their water through underground pipes, which often require directional boring for laying down new pipe and or replacing current ones. As US population densities increase, additional wastewater and sewer related infrastructure must be installed to handle increased demands. Our auger and directional boring services allow for a variety of wastewater and sewer services to be run around existing sewer and water lines as well as under buildings, roads, urban water bodies and power cables. 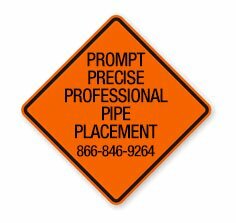 This includes at grade installations for large diameter pipes, power line installations under sensitive areas and utility corridor installations that have the capability to handle additional wastewater and sewage capacity at a later date. 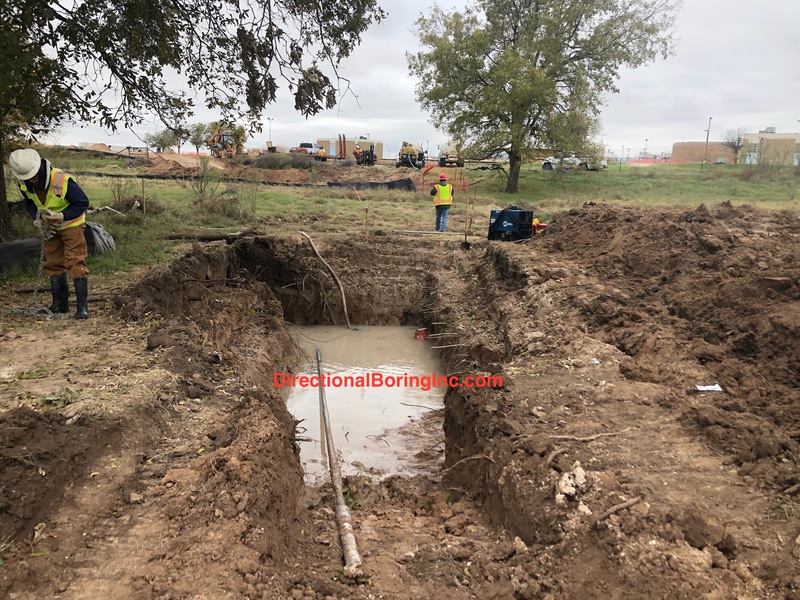 Stations that pump and lift water and various sewage lines underground often require directional boring to install new or repair any current water or sewage lines underground. Our pump and lift station directional and auger boring solutions ensure the reliable delivery of clean water and the safe, effective removal of potentially harmful wastewater and sewage. The outlook for US sewer and storm-water systems is grim. Capital investment needs for the nations wastewater and stormwater systems are estimated to total $298 billion over the next 20 years. Pipes represent the largest capital need. Since 2007, the federal government has required cities to invest more than $15 billion in new pipes, plants, and equipment to eliminate combined sewer overflows. Our pipeline boring expertise allows us to move (gray) storm and rain water as well as wastewater (black) with the highest levels of reliability, safety and efficiency through both directional and auger boring methods. Avoid surface damage to property, landscaping and hardscaping. Boring is a trenchless options for establishing a new drain line. Significant cost savings can acrue when compared to open cut conventional line installation methods. Boring often has a shorter installation time and is safer for the environment.